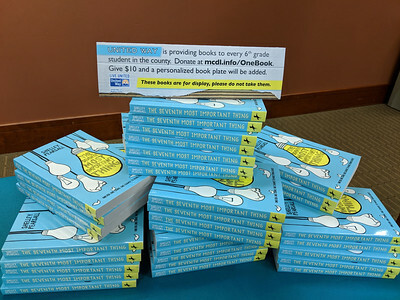 CINDY BREDA / GAZETTE Medina County District Library and United Way of Medina County on Tuesday launch this year’s One Book, One Community program. 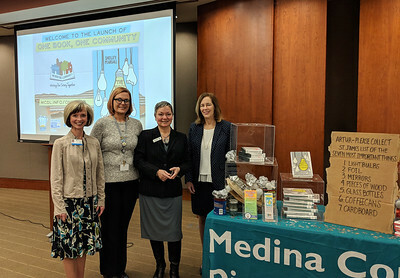 From left, Mary Olson, district library’s readers’ advisory librarian; with Aimee Adams, district library events coordinator; CEO Cheryl Parzych of United Way of Medina County; and Carole Kowell, executive director of the district library. 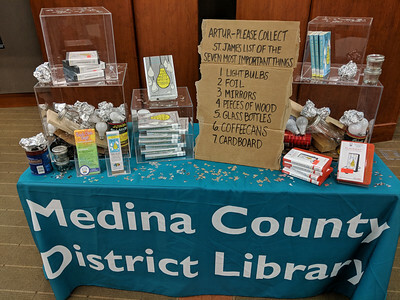 CINDY BREDA / GAZETTE A display featuring highlights from “The Seventh Most Important Thing” by Shelley Pearsall was part of Tuesday’s launch of this year’s One Book, One Community program. 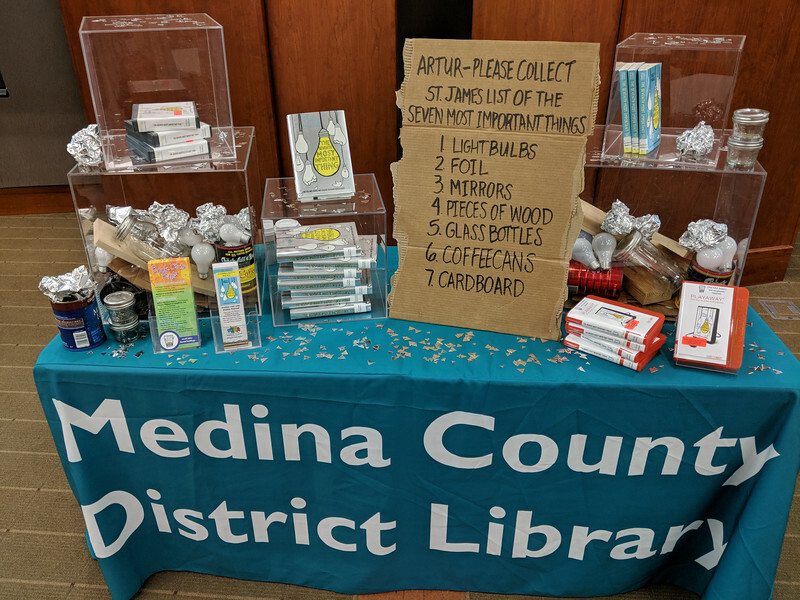 A display featuring highlights from “The Seventh Most Important Thing” by Shelley Pearsall was part of Tuesday’s launch of this year’s One Book, One Community program.